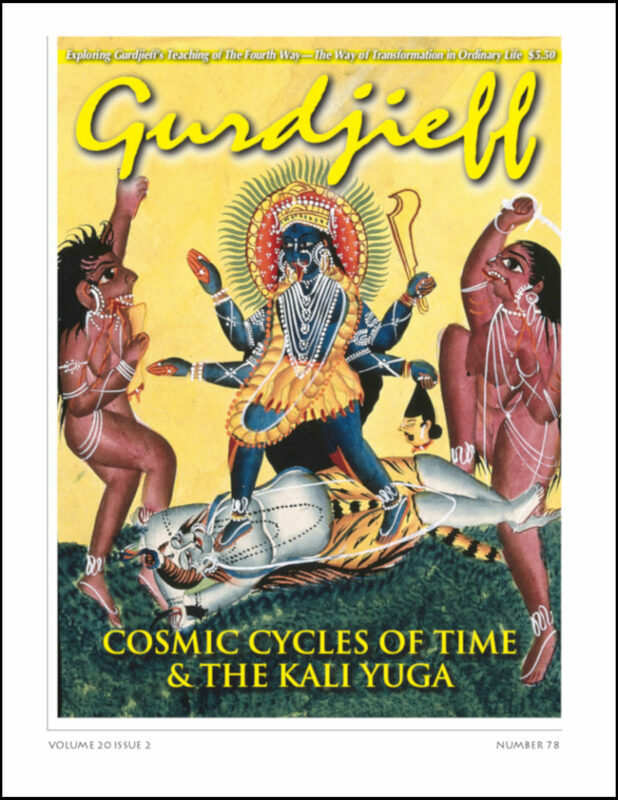 The Gurdjieff Journal™ Current Issue #76 Vol 19 Issue 4 Discovering Man’s Hidden Consciousness Part I The Ideally-Unique-Subjective-Phenomenon: TIME II Coming Home to My Body Asaf on the Run Atis, the Bloodless Sacrifice Part I, Chapter IX cont. Letters Sayings Kultur For more information or to subscribe visit: GurdjieffLegacy.org. #64 Volume 16, Issue 4 Articles in this issue. 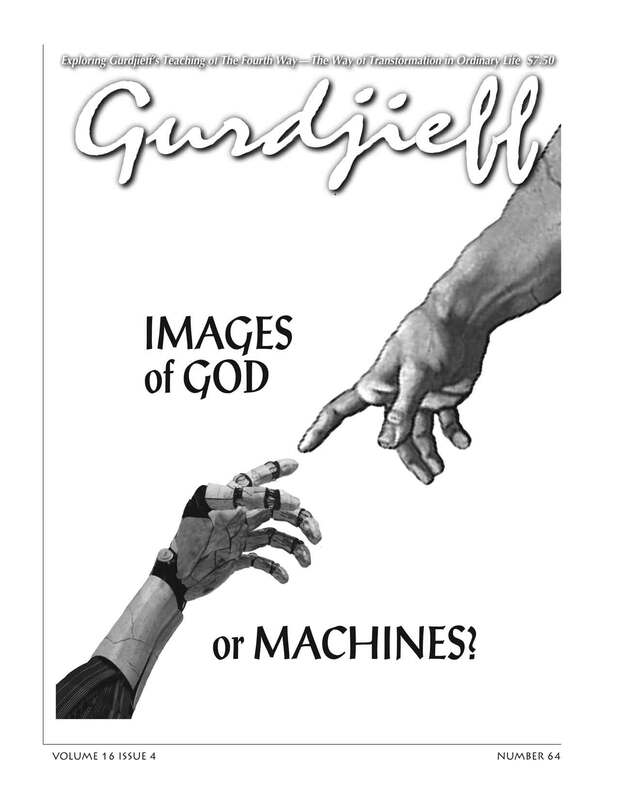 Images of God or Machines? 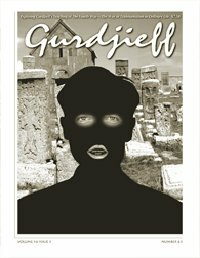 J. G. Bennett’s Legacy Part II Chief Feature: Our Hidden Enemy Gurdjieff on the Enneagram Margaret Anderson’s Yezidi Circle Film & Book Review: 2 Prospectors: Sam Shepard & Johnny Dark For more information or to subscribe visit The Gurdjieff Legacy Foundation.